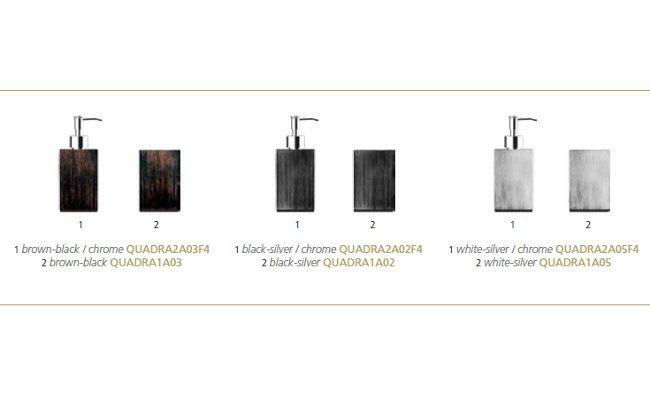 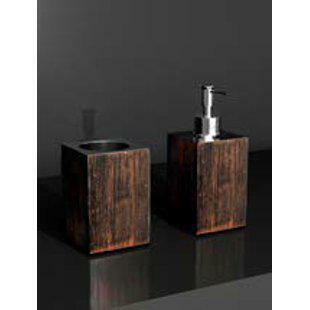 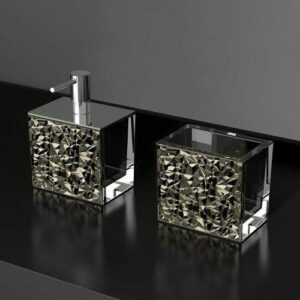 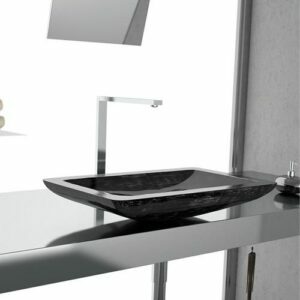 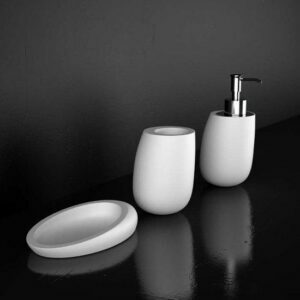 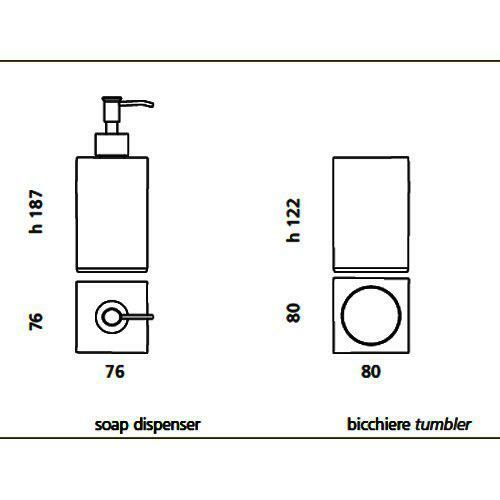 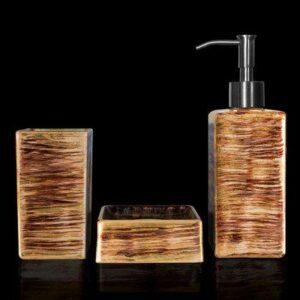 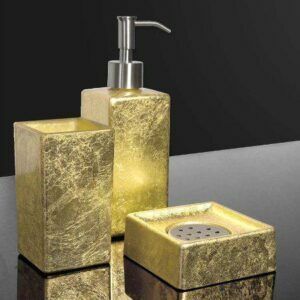 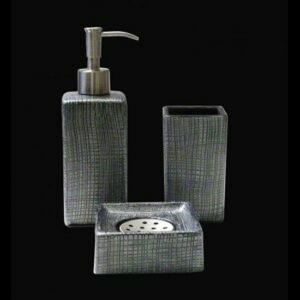 Quadra set composed by soap dispenser and tumbler in Alumix®. 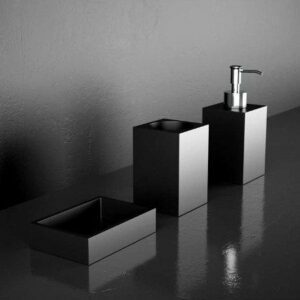 Born from a merger of aluminium alloys. 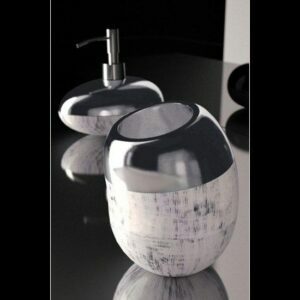 The exclusive brush – painted decoration, is obtained by a special technique to give a bi-chromatic effect. 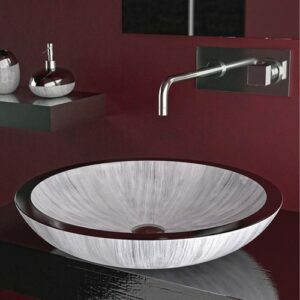 The rim in brushed polished aluminium enhances the soul of the material.